This week it was hinted that Facebook Page admins would soon be able to create Offers directly from the publisher. You might not have to wait long as the social network has already begun to rollout Offers. The system — which was revealed at Facebook’s Marketing Conference last month — allows local businesses to send discounts and promotions directly to customers through their News Feeds. When a customer clicks on your Offer, he or she can redeem it directly from Facebook’s mobile app, or receive it through email to be used in-store. Individuals will also have the option of posting the Offer to their own Timeline. Offers are free to create; however, the feature will only reach a limited number of people. 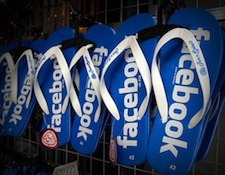 Although this is likely to appeal to small businesses, Facebook remains focused on its regular advertising program. It’s too early to tell how successful Offers will be — local deals initiatives are usually hit or miss. However, if you’re open to experimenting, then Facebook Offers might be worth trying. The social network hasn’t said which businesses will be participating in this program, and it’s unclear when Offers will be more widely available.